Set a little while before the animated series Star Wars: Rebels, this story is a prologue to the series. It is about Kanan Jarrus. He is a Jedi that survived the purge known as Order 66. He was young when that occurred and since then has been in hiding. The story flashes back for a brief time to the Clone Wars, showing his life in the Jedi Temple. It brings to light some of his dreams and aspirations, but then it rips the lens away and refocuses on the present. Kanan has moved on with his life after Order 66, living by the new mandate: blend in. He tries to be as inconspicuous as possible. His life was good, if not uneventful, running supplies from the planet Gorse to the mines on the moon called Cynda. That is… until he noticed a beautiful femme fatale in the form of a green-skinned Twi’lek. He didn’t have to get involved, but something kept pushing them together. 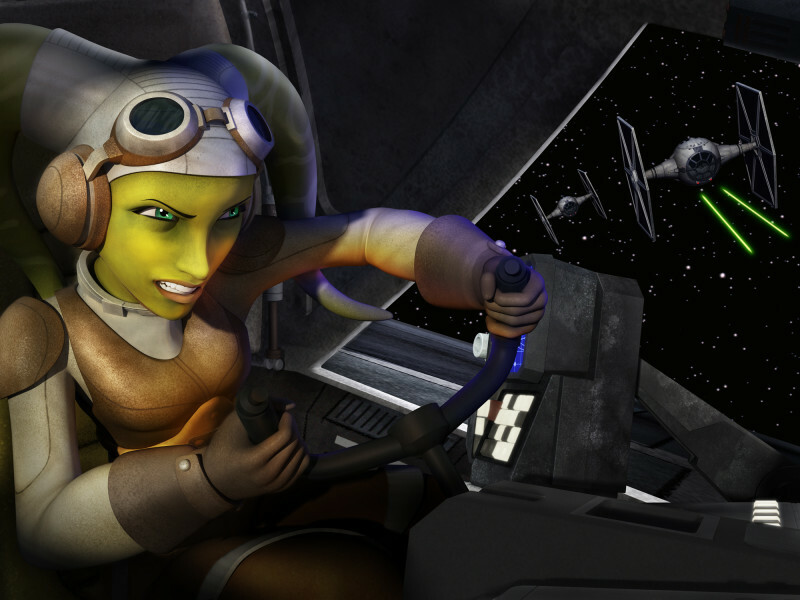 Kanan finds out eventually that her name is Hera Syndulla, daughter of the Clone Wars hero Cham Syndulla. He helped lead the Twi’leks in a revolt against the Separatists occupying Ryloth. Kanan discovers Hera’s true purpose for being there. She was on a mission to scout the moon and observe the Empire’s new man-in-charge. She was determined to find out if he was a serious threat to her group. This group consists of small cells of concerned citizens ready to take action. Is it now her turn to become the hero her father once was? It seems like she is trying to fulfill that destiny, because this group is in reality the fledgling Rebel Alliance. 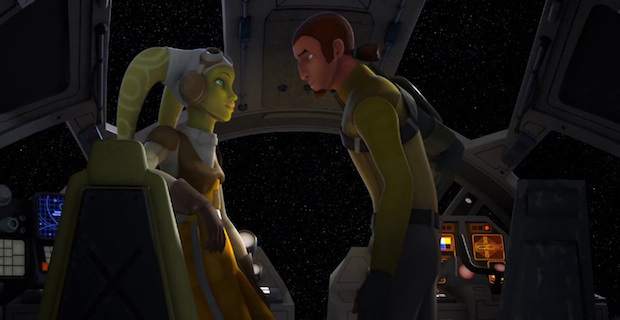 A New Dawn recounts the first meeting of Hera Syndulla and Kanan Jarrus: two of the main characters from Star Wars: Rebels. Their relationship is a bit rocky at first, but then whose isn’t? When reading this, one comes to understand the dynamic between Hera and Kanan. It is a roller coaster ride of events that keep one suspended until the end. The scene on the rickety bus was memorable. This is one of the first times where Kanan and Hera begin to connect and begin to bond. The title is appropriate since it signifies a new beginning, both in the story and in reality. In the story, Hera is looking for recruits for the budding rebellion. She wants to change this dark regime which is bringing misery to the lives of many citizens. Kanan is offered a chance at a new and promising life. It is one where he could use his abilities to help. The Jedi were the light of the Old Republic and in Kanan a spark of that once bright light can be seen. In reality, this is the first book published by Disney. For Star Wars, it is a new beginning for the franchise. This is the first book in the revised expansion. This one, along with future publications will adhere to the Star Wars universe with events affecting and/or linking to other stories in the future. John Jackson Miller writes an exciting tale of two souls destined to be together. One who has lost his way and the other who is seeking a purpose. They find what they need in each other. All of this happens on a backdrop the size of the Star Wars universe. Miller captures the feel of the Star Wars Saga and twists it just a bit to give it a fresh feel. He has captured the style and tone of the Star Wars: Rebels series helping it to resonate into the new generation of fans and media. At 381 pages, the book is about the average length for a novel of this genre. The cover art is wonderfully chosen. Kanan and Hera are standing back to back with their respective weapons raised. Kanan is wielding his lightsaber with the blue-white blade ignited in a relaxed guard position. His expression of defiance is evocative of Han Solo. Hera is holding her small pistol pointed in the air with a wry smile on her face. A calm confidence surrounds her. Her green head-tails spilling out of an old pilot’s headgear are draped down her back. A squad of stormtroopers is just below them in the forefront rushing to the reader. It is as if reading this story is against Imperial Regulations and anyone who reads this will be arrested under suspicion of being an insurgent. A Star Destroyer is off to one side while Tie Fighters are swarming about. The Empire is out in force and is making itself known. They are there to protect its citizens from independent thinking and to enforce the peace that has been pounded into the former Republic. Unlike his earlier work, entitled Star Wars: Kenobi, this story is paced quicker with more action from the get go. If compared to the pace of the six existing movies, it would be akin to Episode IV: A New Hope. 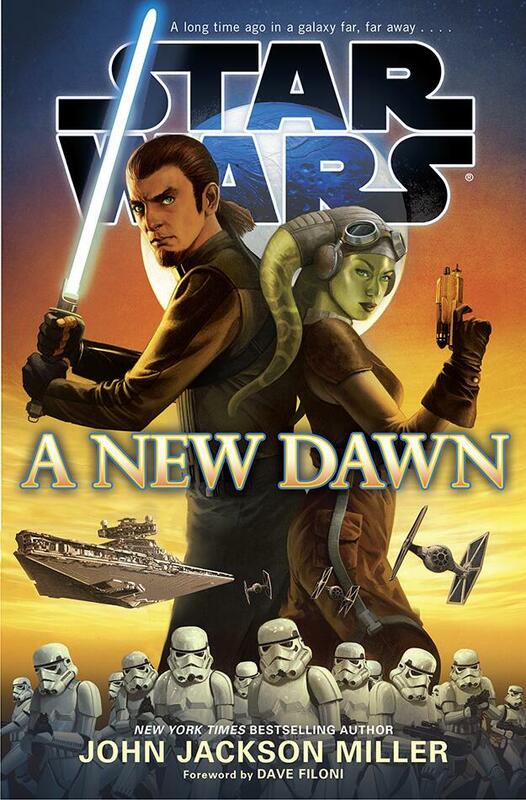 The tone of the novel is a bit darker than Star Wars: Rebels. The language used is not too complex, meaning one does not need a doctorate to decipher the text. It is targeted to the mainstream, and possibly younger audiences. However, it is not a children’s book by any means, and any fan would enjoy it. In fact, one does not need to be a Star Wars fan to enjoy this story. Anybody who likes science fiction and/or adventure should enjoy it. The book stands taller than the standard size of a paperback, so if looking for it, one should spot it fairly easily among all of the other Star Wars books. Leave it to Disney to find a way to charge more for the same product, yet still make it seem like the consumer is getting more for the price. Despite the price, which is not that much more than other paperbacks this is a highly recommended read for fans. It is also a good starting point for people who are just getting into the Star Wars series. While there are other very good books under the Legends title, this is the first book that is canon and as mentioned earlier, it ties into the current series providing some background information on two of the characters. It is a wonderful addition to the Star Wars universe. In any event, it will be fun to see what other stories Lucasfilm has in store for this new era of Star Wars, both now and in the years to come.